Thanks!!! I think it's easier to find things on there now, with the new navigation. I'm going to be ordering this for our senior guy, Leonard, to try. I'm not a huge fan of Oxbow's supplements in general, but am interested to see if we notice any benefit from this one in particular. Thank you, again, sef! I received my prize yesterday and I just love it! This was so much fun! This Little Piggie Marketplace will be having an Open House starting tomorrow, in recognition of Small Business Saturday -- and to officially kick off the holiday season. 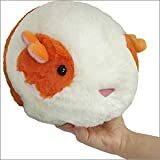 We'll be featuring some of our favorite piggie-related small businesses, and will have Live Chat, a contest (enter to win a guinea pig cookie cutter!) and more. OOOOhhh!! What fun!! Great idea - can't wait!! Oh my gosh! 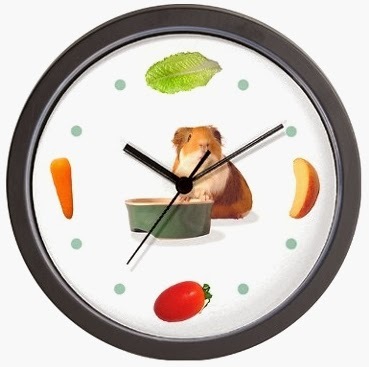 I want one of those clocks for the piggies' room! Sef, you need to repost your url on each new page so we can get there more easily. Edit: Super page! Love all the items!! http://www.tlpmarketplace.com/tlp-open-house.html And that cookie cutter is so cute! Choose from plain timothy, carrot or chamomile. Check them out on our home page at www.tlpmarketplace.com . Be sure to sign up for our January contests! 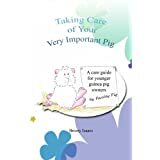 And check out Parsley Pig's new Care Guide: "Taking Care of Your Very Important Pig" for young owners. It's hot off the press and ready to order at www.tlpmarketplace.com !